Home 4.7 Million Users In 738 Days! 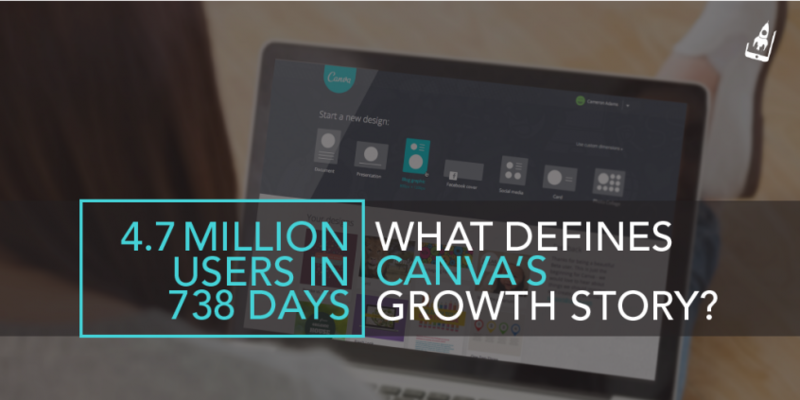 What Defines Canva’s Growth Story? With worked up schedules, especially in a start-up ecosystem, we have become overly dependent on productivity tools of all kinds. Today, we have productivity tools for handling social media, content, CRM and even sales! Not only do these tools, simplify the tasks at hand, but they also do so in a jiffy. One factor that has led to the popularity of these tools is the ease of its use. It’s not surprising that such tools became a part of a user’s arsenal quite quickly. Canva is one such tool that stands tall in this coterie.Having been launched in August 2013, Canva has displayed exceptional traction in just two years of its existence. Fast forward to 2015, no productivity list is complete without Canva! At AppVirality,we love exploring products or brand stories that have shown tremendous growth potential. These analyses help us in understanding the evolving mind of a user, closely establishing a link between the factors that triggered its growth, alongside picking a few valuable lessons ourselves. Here are the lessons that we learned from the accelerated growth of Canva. Pardon my overuse of the word, but most fast paced start-up have literally “disrupted” their growth. That’s because, they stuck to moving fast and building on their way, rather than attempting a “perfect” product. Canva took almost a year to build a foundation for the product and spent endless hours on user testing. The main challenge was to create a product that would change the way people perceived designing. Enormous amounts of user testing data helped them in consciously improving the user journey. Canva’s user onboarding process is pretty nifty. That’s because it is end-to -end. It set the pace for word-of-mouth, which is discussed later. But, that’s not all. Canva integrated this approach with a robust customer service, with a response rate of 2 hrs! That’s a remarkable TAT (turn around time) given that a whopping 4.7 million users are hooked onto the product. Here’s a look at their early ticket status. All this is followed up with dedicated newsletters that not only re-iterate these lessons but also, share fun ideas, video tutorials and highlight product features along with sharing a user’s milestone. In Canva’s context, word-of-mouth reigned supreme. Growth thus followed! Lesson 4: Growth Without Growth Hacking? 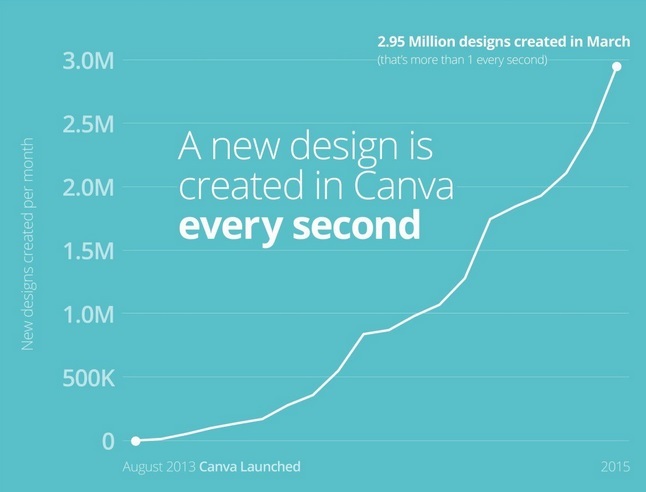 Canva first launched in beta in August 2013, and since then has reached a growing number of over 4.7 million users. Can this growth be possible without growth hacking? In my opinion, a fast-forward growth needs hacking. It can be a minor tweak or an extensive ‘growth hacking’ strategy per se, but it is always there. The idea is to bring more customers to the table than a standard business route. The team at Canva accepts that they haven’t really invested in Social media marketing extensively, a growth technique that is favorite amongst start-ups. However, what they have done is to intelligently integrate the “social sharing” element within its design platform. 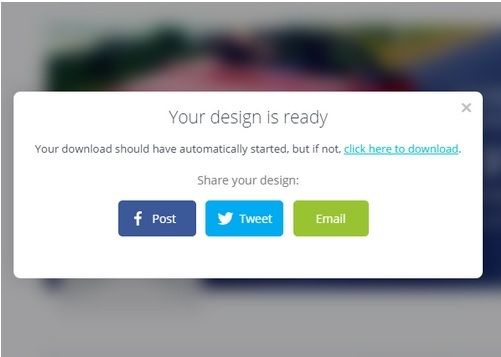 When a user is done saving a design, Canva pops up an option for them to share it with their social network. Canva also offers an inbuilt design stream that looks and feels like ‘Pinterest’. 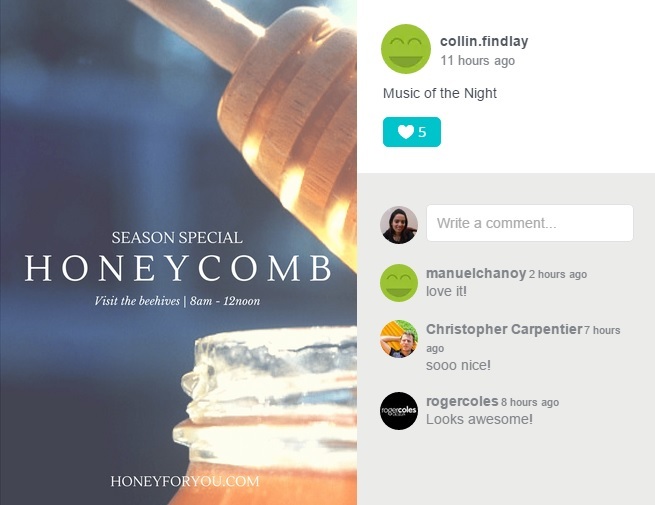 This stream displays images created by other users and serves the purpose of introducing non-designers to already created designs. The users can leave their comments, or favorites for a particular image and can also interact with fellow designers, making it seem like an in-house design team! A gentle nudge like this has gone a long way in ascertaining growth for Canva. It is a way of telling users that it is indeed meant for people just like them. 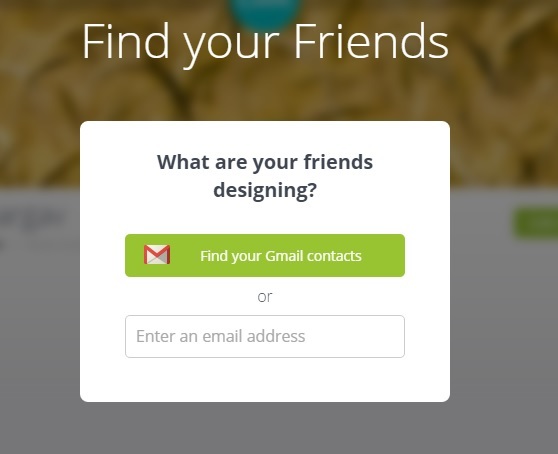 Last but not the least, Canva enables existent users to invite other friends without leaving the app. Going by the experience and word-of-mouth generated by Canva, it is usually an expected norm for its users to invite others! Canva’s growth hacks are not as visible as that of Airbnb or UBER, but they are still relevant considering that they push growth. Growth in a tech-startup is multifaceted. A lot is dependent on the core product, but a fast paced growth is possible only when there’s a robust team in place. This is important for various reasons. Canva’s story also reflects the same thought process right from its inception. Even though Melanie Perkins and Cliff Obrecht had identified the need for a product, they still needed a tech co-founder with the right expertise to kick-start the initiative. Having a tech co-founder helped them in putting their thoughts into action. Another great addition to their team happened in the form of Guy Kawasaki, who is their Chief Evangelist. This further propelled growth along with favorable interest from investors. But why was all this important? Here’s the key takeaway here. To be able to succeed, a company’s vision needs to be sharp. With millions of users already hooked to their products, it was pertinent for Canva to be able to provide a world-class customer support and this wouldn’t have been possible with a boot-strapped attitude. Customer acquisition is an important goal. Without customer acquisition, metrics like retention have no value. Tweaking a product based on responses/customer feedback is something that should be given priority and done in the early days of the product cycle. Learn from other growth stories. Andrianes Pinantoan, Head of Growth Marketing at Canva states that a lot of their early success was based on intuition. However, in the long run, they are developing a growth dashboard that mimics the one used by Pinterest’s growth team. Word of mouth is a simple yet effective growth tactic. Dropbox, Shyp, Airbnb are great examples of this strategy. A lot depends on how you use it. Offer consistent value to your users via your product. Uber does it by partnering with local businesses. 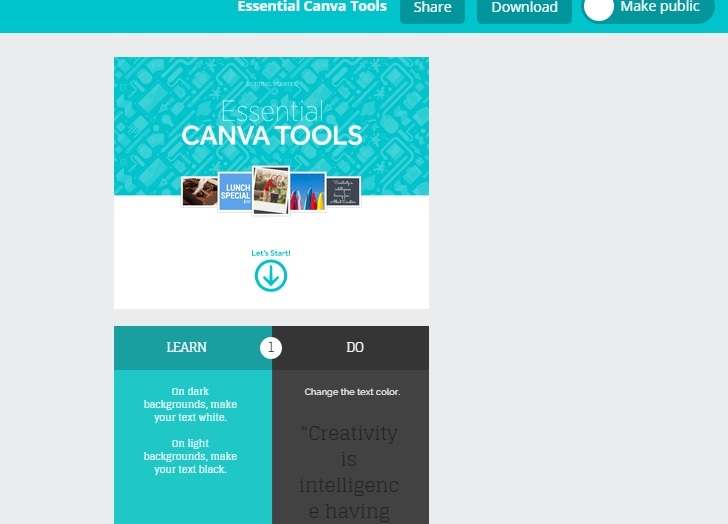 Canva does it by providing a design school. Offer a freemium model. Win users and then launch a paid platform. Having seen a value in a free product, users will not shy away from paying for an added service. Canva for work is an excellent example here. 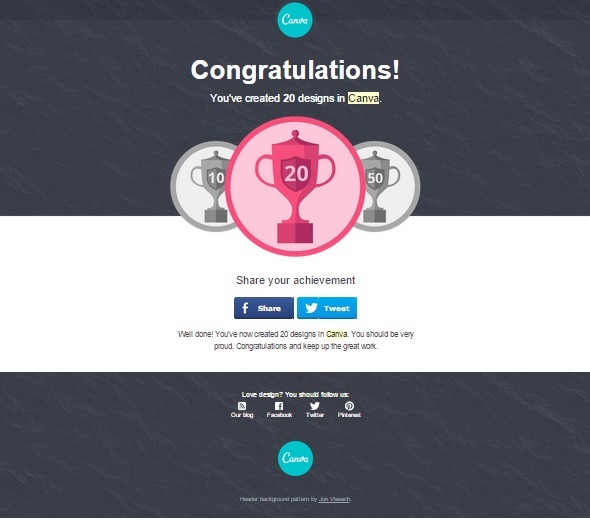 What has been your experience with Canva? How has this tool helped you in your own growth? Do let us know in the comments below. Hello, Taru! Canva is a really great service and really use him it quickly and easily! I am very glad that I can add my images in collections on site for use by other users.